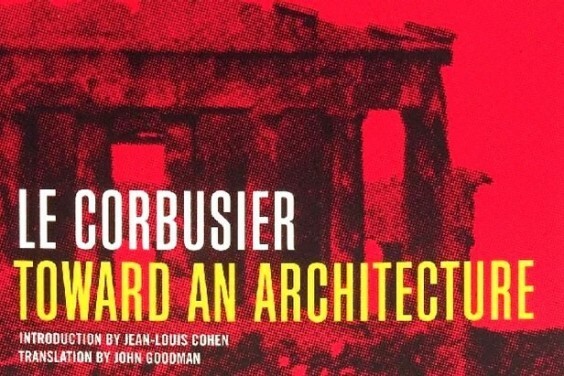 Towards a New Architecture is written by Le Corbusier who was a well known Swiss-French architect. It has published in 1923 in France. The book is compilation of his essays. Also he wrote about any other topics too such as urban design and painting. He was so into Cubism and Purism. So, he used these in his so many master pieces. The book’s aim is trying to break common known terms about architecture and build brand new knowledge. Actually, the original title is “Towards an Architecture (Vers une Achitecture)”. However, it has translated into English as “Towards a New Architecture”. Though, he is criticising his era’s architecture, he is giving samples from earlier constructions to express how architecture should be like. He is also giving advises to future’s architects too in his book. In this book, Le Corbusier is trying to inform people that the Endustrial Revolution has over and a new architecture has born. But the things that the book is considering is not just about arcitects, it has oriented to eveyone. So that, its language fluent and intelligible for everyone. This entry was posted in ARCH 121 and tagged architecture, Le Corbusier, melisbel. Bookmark the permalink.